There used to be a time in my life when I was ashamed of the mistakes I had made. I felt as though my mistakes disqualified me from becoming the person I knew I was destined to be. I wanted more than anything to wipe away those mistakes from my life. I wanted to clear the slate of my past, erasing every thing I deemed as a mistake. Soon my mistakes became my regrets. That which was simply meant to be a life lesson to learn from became a hindrance to my progression. 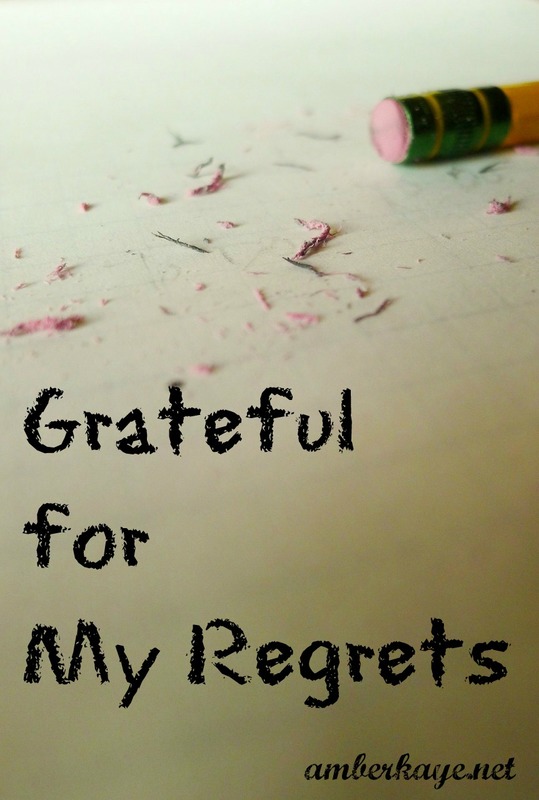 My regrets became a stronghold around my feet preventing me from moving forward. I knew I had purpose. I knew I had dreams but I felt that they were impossible to achieve because surely I wasn't worthy. I believed lies for years. Lies that I wasn't good enough. Lies that the things I had done were preventing me from moving forward when truthfully they were there to help me move forward. Some of these lies I personally told myself, others were told to me by people and the rest of the lies were from the enemy of my very soul. I don't recall when I realized that my regrets were really for my good. I don't know that moment where I reached within to overcome outwardly or really what motivated it. Maybe I was tired of playing the blame game. Maybe I was sick of being disappointed in myself. Or maybe I realized that we all have regrets in life and that I couldn't change mine. Whatever it was I'm grateful for it. I no longer feel as though I am disqualified. I now know that it is my regrets of the past that will help me accomplish my purpose. I now see my regrets as stepping stones to my destiny rather than obstacles in my way. I really want to encourage you not to run from your past failures and mistakes. The very things that you wish weren't a part of your story might be the very thing that creates a platform for you to share your life's message with the world. Don't be afraid. Take courage my friends. Your regrets just might be fuel for your dreams. Thanks for stopping by, hope you had a great Independence Day weekend and as always thanks for reading.